Late last year, I wrote a post about the composer and musician Julia Chatterton, who created and performed music for a one-off matinee event at the London Hippodrome in June 1930 to celebrate Flinders Petrie's 50 years in archaeology. One of the other women credited with contributing to the music for the "Egyptian Matinee" was Kathleen Schlesinger. At the time, I didn't know much about her, but the event programme noted that she provided a number of replica instruments used at the Hippodrome that afternoon from her own collection. Schlesinger is known in musical theory circles for her work on recreating ancient music, using instruments and tools that she had specially made based on ancient source materials. Nine years after the Hippodrome performance, she published a book, The Greek Aulos, describing her findings. For decades Schlesinger also held a pioneering research fellowship at the University of Liverpool's Institute of Archaeology. This department was the earliest British-based training institution for archaeologists – being founded decades before the Institute of Archaeology at the University of London (now part of UCL). It instituted a Fellowship in the Archaeology of Music in 1914. Kathleen Schlesinger was the first Fellow – in fact, Kate Bowen's investigation of the Institute of Archaeology's Annual Reports reveals that the Fellowship was designed for her, and her scholarship promoted by John Garstang, then Professor of the Methods and Practice of Archaeology at the Institute. The Fellowship enabled her to continue her research on the ancient history of musical instruments, in which she was already well-established. By this stage, Schlesinger was also an experienced lecturer, working as an Extension lecturer for the University of London. She is to be added to the ranks of women I've written about in Archaeologists in Print who organised and delivered lectures and courses at the British Museum, incorporating collections on display into their curricula. Schlesinger also created and delivered a set of lectures on the history of musical instruments in the galleries of the Victoria and Albert Museum. In addition, she was featured as a lecturer at the 1914 Children's Welfare Exhibition at Kensington Olympia, discussing musical instruments to accompany a special display at the event. While she is now known for her work on ancient Greek music and instruments, she had a wide-ranging field of investigation, and her museum lectures sought to appeal to audiences interested in Biblical history (and by extension the archaeology of the Levant, Egypt/Sudan and Mesopotamia) as well. For these lectures she created models of instruments. In the 1930s, an American musician came to visit an elderly Kathleen Schlesinger in her home in Highgate. He was Harry Partch, and his memory of tea with Schlesinger makes for fascinating reading. She told him about using a British Museum vase as model for her replica kithara, which was made to her specifications by a handy gas-meter man during the First World War out of wood from a crate that had once contained oranges. Today, researchers continue to work on replicating ancient music. Armand D'Angour's article published in The Conversation this summer promised that the mystery of ancient Greek music had now been solved. There is also a large-scale European Music Archaeology Project and there are YouTube videos of Stefan Hagel's performances on a replica kithara. But it's important to remember this sort of research has a long history – and to ensure that the early pioneering music archaeology, performance and lectures of Kathleen Schlesinger are not forgotten. Bowen, K. 2012. Living Between Worlds Ancient and Modern: the Musical Collaboration of Kathleen Schlesinger and Elsie Hamilton. Journal of the Royal Musical Association 137 (2): 197-242. Collins, M. 1913. The Story of Sensa: an interpretation of The Idyll of the White Lotus. New York, NY: J. W. Lowell. D'Angour, A. 2018. Ancient Greek Music: now we finally know what it sounded like. The Conversation 31 July. Hindson, C. 2017. Beautiful Pagans: When a Best Selling Author and a West End Actress Made a Spiritualist Performance. In Guy, J. (Ed).The Edinburgh Companion to Fin-de-Siècle Literature, Culture and the Arts. Edinburgh: Edinburgh University Press. Lee, B. 2006. Kathleen Schlesinger and Elsie Hamilton: Pioneers of Just Intonation. Partch, H. (ed. McGeary, T.) 2000. Bitter Music: Collected Journals, Essays, Introductions, and Librettos.Champaign, IL: University of Illinois Press. *The idea for Collins's book Idyll of the White Lotus (on which "Sensa" was based) came to her after seeing Cleopatra's Needle being placed on Embankment in 1878. Collins was very interested in the occult, and spotting the Needle triggered visions of ancient Egyptian priests. Her interpretation of their presence - and through this the inspiration for Idyll and "Sensa" - drew on British Museum Curator Wallis Budge's book Egyptian Magic. For more on Collins, Hoffman, and the creation and performances of "Sensa", see Catherine Hindson's chapter referenced above. I've been getting corseted up for a photoshoot of historic significance. The team behind Trowelblazers has a new project called ﻿"Raising Horizons"﻿ developed with photographer Leonora Saunders. They will be opening a photography exhibition early next year, featuring 14 women currently active in the fields of archaeology, geology and paleontology representing 14 historical counterparts. Team Trowelblazers very kindly asked me to take part, paired with Egyptologist and folklorist Margaret Murray. So at the beginning of this month I was sinched in, dressed head to toe in black (with white apron) and snapped! For another Raising Horizons pairing (archaeologists Shahina Farid and Kathleen Kenyon) the Palestine Exploration Fund loaned a vintage camera as a prop for the photograph. The camera once belonged to the archaeologist John Garstang who used it at Jericho in the 1930s. In doing a bit of background research for a blogpost on the photoshoot, I started digging up information on John Garstang's wife, a rather elusive figure called Marie-Louise, whose archaeological work (unsurprisingly) has been significantly overshadowed. More on Marie-Louise in due course, but you can see a picture of her at Jericho in the PEF's Raising Horizons post. The "Raising Horizons" team is now crowdfunding to support the exhibition and associated events planned - you can contribute to the project at their Indiegogo page and get some great perks for your contribution. It’s lovely to be able to put a face to a name – as it were. One difficulty with researching long dead people is the formality in text that can prove a formidable façade. The plague of the initials and the title/last name combo is rife. * How can we see beyond these fashions of a bygone era as we examine the myriad contributors to past events? I’ll give you an example: the story of “Mrs George”. In researching annual exhibitions in archaeology during my PhD I came across lots of names – the catalogues for these displays were full of them. Very useful for identifying the number and gender of contributors to a particular season’s work, but sometimes frustratingly vague: Mr-s and Miss-s galore. In some cases it was easy to confirm full names, but in other cases (particularly if the individual was female and not a well-known scholar) confirmation was not so easy. “Mrs George” was one of the latter. She was an artist, and was married to an architect, Walter Sykes George. Just before the First World War Mr and Mrs George were in Sudan, where Walter George was working as architect for John Garstang’s excavation at Meroe. Mrs George, like numerous other artists on sites in the early 20th century, was engaged in copying ancient paintings. In 1913, “Mrs George”’s works were on display alongside her husband’s site plans at the Society of Antiquaries as part of the fourth exhibition of antiquities from Meroe. The exhibition catalogue indicates that some of her work, including scenes of “local colour”, was for sale. Next door at the Royal Academy yet more artists were taking part in the annual Summer Exhibition, in its final month. On finding evidence of Mrs George’s contribution to the interpretation and display of Meroe in London, I wanted to find out more about her, and, if I could, discover her first name. At the very least this would ensure that work credited to her would reflect her distinct identity as well as her marital status. But initial searches for “Mrs George” proved fruitless. An aside in one of Walter George’s letters gave me the clue I needed. In said letter he referred to his wife exhibiting two works at the 1914 Autumn Exhibition of Modern Art at Liverpool’s Walker Art Gallery. The 1914 catalogue is (luckily) still extant; scanning the list of contributors, there she was – Mrs Lena George, exhibiting in the Miniatures Room. Bingo. Mrs George was no longer nameless in my records. With her first name I found references to other works attributed to her, including the (undated) oil painting "Travellers on the Outskirts of Town", sold at Christie's in 2010. Such references to her work outside of archaeology help to illuminate her as an artist within the early 20th century contemporary art scene. Many contributors to excavation in the past were ephemeral – on site for a season or a couple of seasons and then gone from the archival or published record. And there were many other participants in the archaeological process – locally employed diggers, basket boys and girls, foremen and others who have only recently begun to be recognised and named, where possible, for the work they did. At the time, I felt rather honoured to have found Mrs George's first name, and to have included it in my now published research. But it’s also nice to discover a new(ish) source for Lena George – while writing this post I came across Richard Butler’s 2012 article in Architectural History analysing in detail W. S. George’s contributions to the architecture of India, where he and Lena moved in 1915. Lena George is only briefly mentioned, but Butler does include her first name and (a thrill for me) a photograph of her and Walter Sykes George in India. Butler, R. 2012. The Anglo-Indian Architect Walter Sykes George (1881-1962): a Modernist Follower of Lutyens. Architectural History 55. Corporation of Liverpool, Walker Art Gallery. 1914. Forty-Fifth Autumn Exhibition of Modern Art Catalogue. Garstang, J. and George, W. S. 1913. Excavations at Meroe, Sudan, 1913, Fourth season. Guide to the twelfth annual exhibition of antiquities discovered. Institute of Archaeology University of Liverpool. Janssen, R. 1992. The First Hundred Years: Egyptology at University College London, 1892-1992. London: Petrie Museum. Quirke, S. 2010. Hidden Hands: Egyptian Workforces in Petrie’s excavation archives 1880-1924. London: Gerald Duckworth. Thornton, A. 2015. Exhibition Season: Annual Archaeological Exhibitions in London, 1880s-1930s. Bulletin of the History of Archaeology. *A post on the subject has recently been published on the Palestine Exploration Fund’s blog. American-born pharmaceutical baron Henry Wellcome (1853-1936) had a magnificent moustache. But his vigorous facial follicles weren't the only talent up his metaphorical sleeve. His philanthropic legacy looms large in London today, particularly in Bloomsbury. The Wellcome Collection on Euston Road has exhibited his acquisitions since it opened in 1932. Its precursor, the Wellcome Historical Medical Museum on Wigmore Street, takes Wellcome’s history of formal display to 1913. The Wellcome Collection at 183 Euston Road in London. Photo: A. Thornton, 2015. Read any of the biographies of Wellcome and histories of the Wellcome Trust and you will find that the web of his interests and connections stretches across the globe. In this post I’ll be exploring one aspect of this interest – archaeology. More specifically, Henry Wellcome’s involvement in archaeology in Sudan. Wellcome visited Sudan for the first time in 1900. The country was then under joint Anglo-Egyptian administration (called the Condominium), following the Anglo-Egyptian army’s victory over the Sudanese Mahdists in 1898. Wellcome was interested in improving medical conditions in Sudan and facilitating research on tropical diseases – in 1902 his Tropical Research Laboratories opened at Gordon College in Sudan’s capital, Khartoum. Jebel Moya (or Gebel Moya) was the archaeological site Wellcome eventually excavated – he was convinced that it had potential to shed light on the origins of human civilisation. Located over a hundred miles south of Khartoum, Moya lies in the hills and valleys of the Gezira region, between the Blue Nile and the White Nile. In the Condominium period, Sudan’s Government Railway network was expanding rapidly. The railway line south from Khartoum followed the Blue Nile to Sennar then crossed the Gezira to link to the White Nile at Kosti. The journey to Jebel Moya railway station from Khartoum took less than a day, and Wellcome’s excavations were just under two miles from the station’s platform. The formal publication of the Wellcome’s excavations suggests that a Sudanese man, Mek Omar, indicated the fruitfulness of Jebel Moya as an archaeological site. The work was conducted for the first season (1911) at Wellcome’s own personal risk and without a formal permit (although the Governor General of Sudan, Sir Francis Reginald Wingate, had granted Wellcome permission to start digging). As studies of Wellcome’s work have noted, the excavations were partly conceived as a philanthropic exercise to boost employment opportunities for locals and introduce them to the Western way of life. This offer apparently proved popular – Wellcome employed thousands of labourers to dig over the four seasons he spent at Jebel Moya and other sites. In addition to this large workforce, he had a staff of between 17 and 22 “European” men, including archaeologists, anthropologists, engineers, physicians, photographers, surveyors and geologists as well as a cook and a valet. In charge of operations was a “Camp Commandant” (military tone intended). Wellcome employed not only locals from the surrounding villages, but also Egyptians and men from other African ethnic groups who worked in a specially designated “Africa Trench”. Europeans and Africans were housed separately – in tents and grass huts respectively. Despite this segregation, in his memoir, British archaeologist O. G. S. Crawford, who worked for Wellcome during the final Jebel Moya season in 1914, gave an interesting insight into the social life of the dig. He recalled attending the Friday night parties (called fantasias) held by the Egyptian labourers and regretted not joining other colleagues to sneak down to the village near the site for the even more exotic Sudanese fantasias. During the seasons’ work, much of what was being excavated were graves – nearly 3,000 of them in total. The final distribution of materials resulting from the excavations at Moya shows that they ended up in a variety of locations, including museums in Khartoum; Oxford; Cambridge; Boston, Mass. ;, Toronto, Canada; and Nairobi, Kenya. Like other archaeologists working in Egypt and Sudan at this time, Wellcome also brought evidence of his excavations back to London. Visitors to his Historical Medical Museum of Wigmore Street in the 1920s would have encountered four cases of artefacts and human remains discovered during the Jebel Moya excavations as they entered the Museum through its Hall of Primitive Medicine. These were used to demonstrate humans’ earliest engagement with the ‘healing arts’, alongside methods used by contemporary so-called “primitive” peoples and ancient human remains from other sites. The Jebel Moya display also showcased a specially devised technique for preserving excavated bodies, shown in the reconstructed grave of a woman. Although the objects and human remains from Moya are (as far as I know) no longer on display at the Wellcome Collection, you can see evidence of Sudan’s ancient past in Bloomsbury at the British Museum. Two hundred and fifty miles north of Jebel Moya lies Meroë, where Liverpool University professor John Garstang was excavating during Wellcome’s seasons at Moya. The two excavations were doubly linked. Garstang loaned his assistant, German photographer Horst Schliephack, and a corps of experienced Egyptian diggers to Wellcome during his first season at Moya. By 1914 Wellcome had become a member of Garstang’s Sudan Excavations Committee, helping to finance Garstang’s work. Meroe has been in the news of late – the magnificent “Head of Augustus” excavated during Garstang’s 1910/1911 season is now the subject of a free exhibition at the British Museum, where it has resided since 1911. 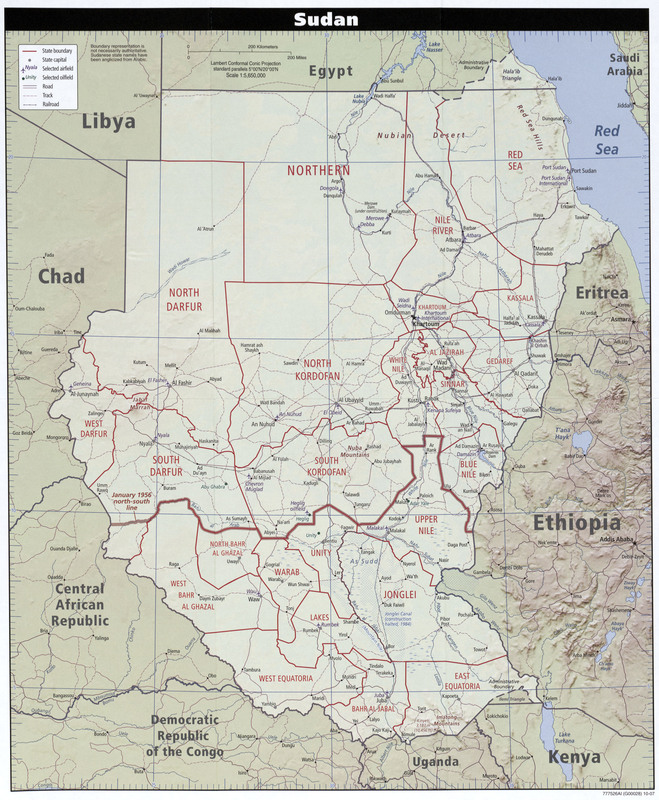 Sudan has changed dramatically in the decades following its independence in 1955 – in the last ten years ravaged by brutal conflict in Darfur and, since 2011, divided into two nations. The Jebel Moya excavations live on, however, in archive film footage that brings Henry Wellcome and the people of pre-war Sudan back from the dead in fascinating, flickering black and white. Addison, F. 1949. Preface and Introduction. The Wellcome Excavations in the Sudan: Volume One Jebel Moya (Text). London: Oxford University Press. Baedeker, K. 1914. Egypt and the Sudan: Handbook for Travellers. Leipzig: Karl Baedeker, Publisher. Crawford, O. G. S. 1955. Said and Done: The Autobiography of an Archaeologist. London: Phoenix Press. Daly, M. 2003. Empire on the Nile: the Anglo-Egyptian Sudan, 1898-1934. Cambridge: Cambridge University Press. Evans-Pritchard, B. and Polese, V. 2012. The Trail Guide to North and South Sudan (2nd ed.). City Trail Publishing Ltd.
Hall, A. R. and Bembridge, B. A. 1986. Physic and Philanthropy: A history of the Wellcome Trust 1936-1986. Cambridge: Cambridge University Press. Larson, F. 2009. An Infinity of Things: How Sir Henry Wellcome Collected the World. Oxford: Oxford University Press. Have you ever wondered where to acquire a pith helmet? In preparing my presentation for Ideas Slam at the Petrie Museum I started investigating where archaeologists in the late 19th and early 20th centuries bought their supplies. While there are surviving lists of equipment and supplies and prices paid, sourcing the stores where these goods were purchased was more challenging than I expected. A colleague pointed me to a quote from a visitor to Flinders Petrie’s excavations at Meydum, Egypt recording that Petrie’s food supplies came from the Civil Service Stores. A bit more research into an archaeological archive revealed that George and Agnes Horsfield, who excavated in Transjordan in the 1930s, got some basic equipment - including an officer’s valise with leather straps - from the Army & Navy Stores on Victoria Street, as well as a Jaeger sleeping bag from the travel agent Cook’s. George Horsfield had served in the British Army during the First World War, so he would have been familiar with the Army & Navy Stores as a place to obtain equipment. Both the Civil Service Stores and the Army & Navy Stores were co-operative societies, operating on a subscriptions system. For their annual subscription, members of the co-operative societies had slightly reduced prices on a wide range of items. It makes sense that archaeologists took advantage of the range of supplies offered at these co-operative stores; amongst their clients were colonial administrators and soldiers – people who spent significant time abroad. Similarly, archaeologists in the late 19th and early 20th centuries could remain in the field up to five months of the year or more. A reprint of the Army & Navy Stores 1907 Illustrated Catalogue was published in the 1960s. Alison Adburgham’s fascinating Forward gives a brief history of the Stores. She notes the value of the catalogues for social historians and the memories the catalogues evoked in ex-colonial households. A brief look through the catalogue showed me that it was a worthwhile investment - my recently acquired copy sits proudly on my bookshelf. The pith helmet, seen here in the centre of this image of Palestine Exploration Fund explorers in Arabah (Jordan) in the 1880s, is probably one of the most iconic pieces of equipment associated with British men and women travellers – regardless of occupation or purpose – in the Victorian and Edwardian eras. In 1907, the Army & Navy Stores priced a “Lady’s Pith” in white or drab felt at 14 shillings and sixpence, while a “Gentlemen’s Drab Felt” cost 17 shillings and sixpence. Cornelius Holtorf has discussed influences in modern archaeologists’ clothing. A quick chat with some archaeologist chums highlighted to me the value that archaeologists still put on their basic equipment – I’m not talking about fancy GPS systems and ground penetrating radar tools, but rather the trowels and tents that make up the foundation of an excavator’s life. On a related note, I recently discovered a company making pith helmets covered not in white or drab cloth but African textiles. I wonder who wears them. Adburgham, A. (Ed.). 1969. Yesterday’s Shopping: The Army & Navy Stores Catalogue 1907. David & Charles (Publishers) Ltd.
Petrie, W. M. F. 1904. Methods and Aims in Archaeology. London: Macmillan & Co.
Wilson, J. A. 1964. Signs and Wonders Upon Pharaoh. Chicago: University of Chicago Press. Before Mills & Boon became known as a purveyor of romance novels, it was a general publishing enterprise producing both fiction and non-fiction. Ethel Stefana Stevens (1879-1972) was one of its early authors. Stevens’ travel book My Sudan Year, published by Mills & Boon in November 1912, recounts her journey from London to Khartoum and beyond into what is now South Sudan. For me, one of the highlights of browsing through Stevens’ book was finding her passing reference to spotting Liverpool University archaeologist John Garstang’s excavations at Meroë, Sudan through the window of the train travelling from Atbara to Khartoum. Among her “occasional excitements” on the long, extremely hot journey to Sudan’s administrative capital was glimpsing the “squat pyramids of Meroë against the skyline”, with Garstang’s white excavation tents clustered close to the railway tracks. Stevens’ book, priced at 10 shillings and sixpence, was part of Mills & Boons’ “My Year” series. The series covered life and travels in France, Ireland, Spain, Italy, Germany and Russia and had both male and female contributors. By the time Stevens wrote My Sudan Year she was a seasoned traveller and author, having lived in Turkey and Syria. From these previous experiences she produced an essay, “The Womankind of Young Turkey” in the May 1911 Contemporary Review, as well as a novel, Sarah Eden, and travelogue, The Mountain of God based on her time in Syria. The ‘lite’ popular fiction and non-fiction that Stevens wrote in early life is now obscured by the detailed scholarly work of her later years – studying the history, language and culture of a small gnostic sect called the Mandeans in Iran and Iraq. The Bookman published a profile this vicar’s daughter in 1916. The short biographical sketch yields a fascinating picture of a woman in her early thirties making her way in the world through her pen and her remarkable experiences. Her obituary in The Times noted that that she published as E. S. Stevens even after she became Mrs (later Lady) Edwin Drower. 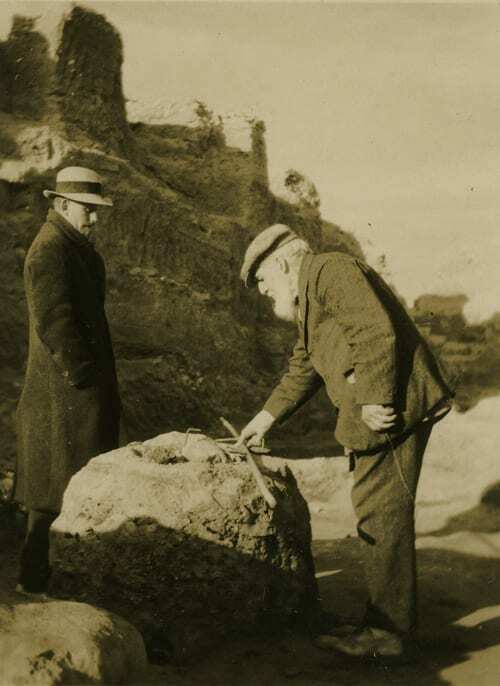 You might say that Stevens’ daughter, the archaeologist and biographer of Flinders Petrie Margaret “Peggy” Drower (1911-2012), had a formidable legacy to match. Perhaps E. S. Stevens should be included among other female (fiction) writers of the period such as Olive Shreiner and Sarah Grand, now considered stars of the “New Woman” era. Her passing reference to Garstang’s Meroë excavation, meanwhile, speaks to the visibility of archaeological work in Sudan during this period, all wrapped up in the early history of a famous publishing house. McAleer, J. 1999. Passion’s Fortune: the Story of Mills & Boon. Oxford: Oxford University Press. Stevens, E. S. 1912. My Sudan Year. London: Mills and Boon. The Bookman. March 1916. News Notes. The Bookman XLIX (294): 170-171. The Times. 31 January 1972. Lady Drower. Authority on gnostic sect. The Times 58389, Col G p 14.